Gamesugar had the opportunity to attend the Toronto media launch event for Resistance 3 today—an event filled with raging, violent game journos and also some snacks. The gathering occurred in a darkened cellar that could have easily passed for a bomb shelter, well suited to the chapters of the game I played. These early stages see new protagonist Joseph Capelli battling the Chimera in basements, cellars, and abandoned towns—there has been a clear effort here to ring true to the name “Resistance.” Suburban America has been bled dry, and what few drops of life remain struggle to survive a war that’s seemingly already lost. Indeed, a more visceral feel permeates the game, especially during combat, with several weapons having been adjusted to feel more weighty and satisfying to fire. Equally, enemies splotch nicely when obliterated, while the player character responds to heavy attacks and falls in a decidedly human fashion. 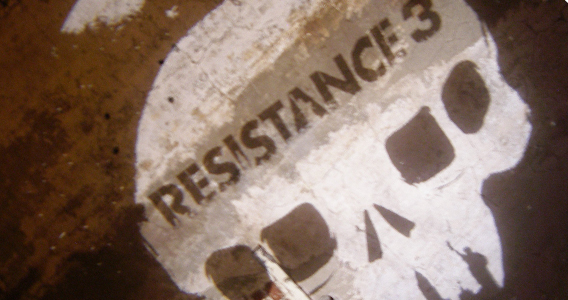 I happened to overhear Creative Director Marcus Smith explaining that the impetus in Resistance 3 was to create a less superheroic and more human game, which was certainly apparent in the chapters I played. The demo for El Shaddai: Ascension of the Metatron has been available on Xbox LIVE for a while now, though you may have overlooked its strange offering, as I initially did. 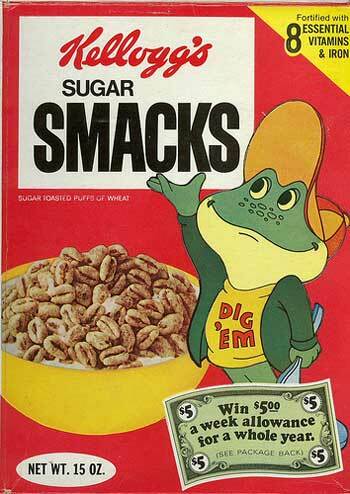 In my capacity as an official Sugar Human, I recommend you reconsider. The demo takes place in what might best be described as a bizarre drug induced hallucination; a world made of shadow and glass, laced together like a spider’s web. At one point, the perspective shifts to that of a side-scroller, where I leapt across rolling waves of clouds and flying rocks as the sun rose and fell, replaced by some ominous face in the background, again and again. The demo is strange and dreamlike; sheathed in angelic armor that breaks away to reveal what appears to be some kind of surfer bro in jeans, the protagonist platforms through areas that seem only tangentially related, finding demons to fight in glassy arenas made of light and dark. I challenged a boss, only to suddenly find myself somewhere else, platforming again, as in those strange dreams where you walk through a door to find the nature of the dream has completely changed. It’s going to be a pretty thin summer for games this year, so it may be worth your time to check out this bizarre action entry; I played for half an hour, and though I’m not entirely sure what it is that I played, I can tell you that it was awesome. El Shaddai will arrive in North America on August 16 for the PS3 and Xbox 360. Square-Enix unleashes the first trailer for the reboot of Tomb Raider, a filmic affair that sets the atmosphere for a game we’re told will discover humanity within Lara Croft by pushing her to physical and mental limits. As far as videos go, it’s a slick affair that manages to draw me in like a moth to the flame, crossing fingers and toes that the title appreciates the burden of responsibility, the expectations of the entire proposition at play here. Catch the trailer below and feel free to offer back a few words of your own. Marvelous Entertainment unleashes video for No More Heroes: Red Zone Edition, the Japanese PS3 exclusive return of Travis Touchdown, which follows up on a technically troubled effort to bring the Wii title to HD consoles via the release of Heroes’ Paradise in Japan last year. With Konami bringing an entirely reworked version of Heroes’ Paradise to North American PlayStation 3 owners this year – with the addition of PlayStation Move compatibility – it’s easy to imagine that Marvelous’ reveal of Red Zone with Move support stems from that same effort. We had the chance to ask Marvelous about the relationship between the two releases today, and learned that Red Zone is in fact the Japanese localized version of the reworked Heroes’ Paradise Konami is releasing to North America – Marvelous also stressed that this new iteration of Heroes’ Paradise, and thus Red Zone, have very little in common with the original Japanese release from last year. Last week saw the release of Arrival, the final DLC package for Mass Effect 2, leading into the release of Mass Effect 3 (still intolerably far away, I might add). 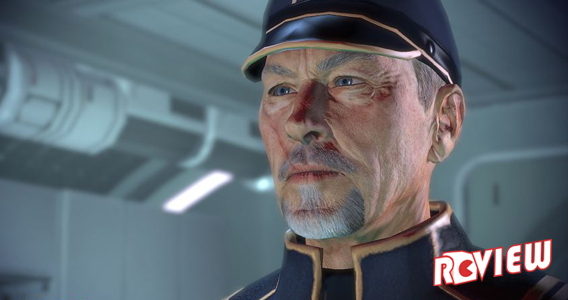 Arrival sees Commander Shepard infiltrating Batarian space to rescue an Alliance operative with evidence on the imminent Reaper invasion. As has been the standard for Mass Effect 2 DLC, Arrival attempts to put something of a different spin on the gameplay and add something unique to the package. In this instance, it’s a rudimentary stealth mechanic, where players—if they are careful about choosing their route—can avoid enemy positions and complete the first mission without being detected. It’s time to announce the winners of our Ys I & II Chronicles Contest! Last night, at the start of the wolfing hour, the Gamesugar crew ascended to the peak of a nearby mountain, placing the entries into a ceremonial bowl atop a stone pedestal – along with offerings to the forgotten Gods of old. It wasn’t long before the clouds swirled overhead, and the faint sound of thunder grew in the distance until we were convinced that the nearing beat bore remarkable resemblance to the guitar riff from Iron Maiden’s Run to the Hills. Suddenly bolts of lightning struck the stone, forever etching three names into the splintered remains. Congratulations to Radical Hair, Elatia-Rashiad Langford and Charles Sabers – though both Elatia-Rashiad and Charles Sabers need to drop me a line via jamie[at]gamesugar[dot]net since we don’t have your email addresses. Gamesugar’s Ys I & II Chronicles Contest! Hit up the comment section of this post between now and 11:59pm est on Sunday February 27, 2011 – and tell or show us why you are, in fact, Metal. Since that’s open to wide interpretation, we’ll spend the following Monday combing through the comments to find the most entertaining and ridiculous responses in order to crown three winners with a digital copy of the game.